Last night under a starry sky and a light breeze I went with a friend to a summer cinema to watch The Two Faces of January; and it was lovely! 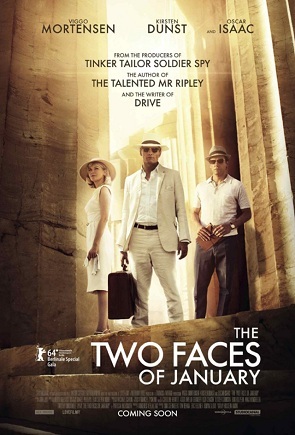 Based on one of Patricia Highsmith’s novels, The Two Faces of January takes us on a tour in Greece where a wealthy couple of American tourists, Mr and Mrs McFarland, get in an adventure as soon as they meet the American tourist guide Rydal in the steps of the Acropolis. A trio is formed and their adventure and destiny takes them to Crete and Istanbul. As in most Highsmith’s novels, tragedy hits. In this case it’s like a Greek tragedy. The protagonists after their own wrong doings and frauds are punished when fate steps in; the end is cathartic as it should be. 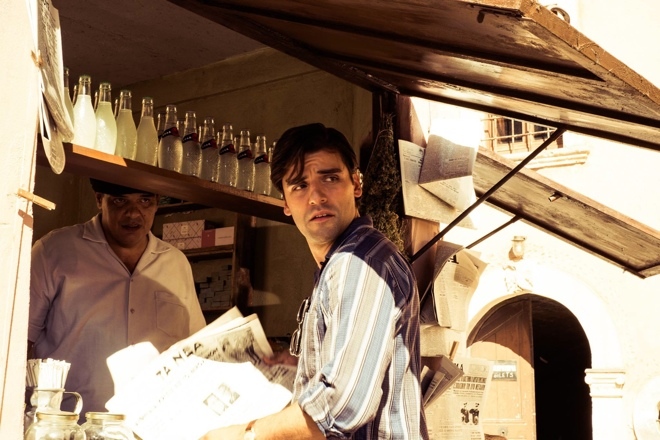 The film is atmospheric; the music is riveting; the characters are gripping and engage the spectator in their whims and vices; and all that is set in a beautiful mythical background in Greece of the 60s. A good film with a good friend in a Greek summer night; heaven on earth!